If you’re looking for Boxing and MMA training advice, you’ve found the right place! Whether its Boxing, Muay Thai, Brazillian Jiu-Jitsu or Karate, dedication to any sport or martial art comes with a certain level of obligation: good training, nutrition and the discipline of an athlete are the only 3 components you need to have a chance at serious success. 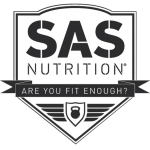 Below you will find a series of articles on proper diets, improving your conditioning and lots of other areas that have been produced by the professionals at SAS Nutrition. Getting the right balance of light/heavy contact sparring, padwork and conditioning in your training is absolutely vital to ensuring you maintain an edge on your opponent when you step into the ring/cage. If you want to learn more, you can view Our Training Guide below. Which breaks down the basics of Training in preparation for a bout. Nutrition for competitive fighting sports tend to vary based on your goals. If you’re on the run up to a fight and are worried about making weight, you may be training at a calorie deficit. It is important under this circumstance to maintain an optimal protein intake so that muscle recovery is not hindered. Training with inhibited recovery means that you won’t experience optimal results, giving your opponent a potential edge on you during training. If you’re look for more information you can view Nutritional Breakdown to learn all you need to know about nutrition for MMA. A critical part of training to participate in Boxing or MMA bouts is your mindset in how you approach training. Whilst technique and padwork are very important, there are a variety of other factors to consider before you write yourself off as a well enough rounded fighter to enter the ring/cage. Sparring is absolutely critical in ensuring that the technique and ability you have acrued over the course of your training is viable in a high pressure situation. can you land that combo you’ve been drilling for 2 weeks on the pads on another person? if you can’t – you can address what factors are preventing you from doing so and devise your own strategy at making it a viable option or pursuing better courses of action in your fighting. Muscular and Cardiovascular endurance are also absolutely critical in those who are actively pursuing the hobby. utilising methods such as Hill Sprinting, Timed Punching Bag Sessions and any other techniques reputable for mimicking the intensity of a real bout can make the difference between pulling through to the end of a round or gassing out with 20 seconds to go. Strength training can assist in delivering more power when paired with adequate technique, your strength training should be tailored to working on explosive power more so than generic heavy lifting. Maintaining good form, but preforming faster reps with slightly lower weights can make a world of difference, and shadow boxing with light weights is an incredibly common strategy throughout the competitive fighting community. Throughout your training it is advisable you maintain a clean diet. A clean diet is generally one which is low in sugar, artificial ingredients and alcohol consumption. These are all things which when consumed regularly will have a negative impact on your health & subsequently your energy levels. This will inhibit your ability to train effectively. Sugar is a tricky substance to avoid. It’s in a wide variety of foods and plenty of fruit has a high level of fructose – a naturally occurring sugar. Fructose however is not anywhere near as bad for you as processed sugar. Processed sugar tampers with your hormones, allows you to pack away excessive amounts of calories with relative ease, and has a whole variety of other nasty side effects. Whilst less common in Europe and the UK, substances such as High-Fructose Corn Syrup can still be found in many commercially available foods. HFCR is effectively a “super sugar”, it is extremely addictive and is one of the primary contributing factors for the obesity epidemic in the west. Whilst it may be normalised in western society, Alcohol is a truly nasty substance in many respects. The process of brewing alcohol can result in the production of Phyto/Xeno-estrogens, which can tamper with your natural hormone levels. Alcohol can lower testosterone levels, which in turn affects your ability to synthesise protein. Poor protein synthesis leads to poor muscle recovery. Meaning your training will always be set back slightly even if you only have a few drinks. Our specially formulated diet whey can be utilised when cutting for a fight to help curb appetite during intense periods of training. It also manages to deliver around 24g of protein per single scoop serving. SAS Nutrition stock our own brand of highly effective fat burners. These can be used on the run up to a fight to help shred weight. The unique thermogenic and stimulant properties of these supplements allow you to expend a greater amount of energy in a day. They also contribute towards reducing your hunger levels, causing you to consume less calories when you do choose to eat.